Bicycle sharing service Mobike enters India, begins with Pune, where it will introduce its SMART bicycle sharing plan. Bicycle sharing service Mobike marks its foray into India by setting up shop in Pune, where it plans to introduce its SMART bicycle sharing plan in collaboration with Pune Municipal Corporation and other local administrative agencies. Mobike, the world’s first and largest smart bicycle sharing company, today announced the launch of its service in Pune, India. The launch in collaboration with Pune Municipal Corporation and other local administration agencies marks the company’s first foray into India. Mobike has signed an MOU with Pune Municipal Corporation, in support of the municipality’s ambitious Pune Cycle Plan. In 2016, the Pune city administration launched the Pune Cycle Plan to introduce environment-friendly means of transportation. The focus is on the development of a sustainable urban transportation system and smart city solution to reduce traffic congestion. Mobike’s launch is aligned with this initiative and will offer residents a convenient and eco-friendly way to travel around the city. Mobike’s SMART Bicycle sharing plan incorporates one of the salient features of the Pune Cycle plan with respect to bridging demand/supply gap using internet/IoT technologies which makes it a very unique proposition for users and the city. “We are thrilled to call Pune our first home in India,” said Mark Lin, Head of International Operations of Mobike. “Mobike is committed to developing a global bicycle share culture by collaborating closely with cities in India. Having lived in India for several years, I can fully appreciate the positive impact that a smart bicycle-share culture will bring to the residents here. Our rollout in Pune is just the start of this journey”. Mobike’s bicycle-sharing service will launch in Kothrud in Pune. With an estimated population of 250,000, Kothrud is recognized as a cycling friendly suburb with dedicated cycling lanes, and a fitness-conscious populace residing in high-density residential societies. Mobike will offer a launch promotion price wherein there shall be No Deposit fee for the user, and the service can be availed by paying INR 10 for a 20-minute ride. Alternately, the user can choose to purchase a monthly pass which offers unlimited rides for an initial discounted fee of INR 99. With such affordable pricing giving access to an eco-friendly and healthy mode of transport, Mobike intends to transform the way Pune travels. Mobike bicycles incorporate several unique high-tech features that contribute to the best user experience in the industry, including Internet of Things smart-lock technology, chainless shaft-drive transmission, puncture free airless tires, and built-in GPS. Users simply download the Mobike app, find a nearby Mobike and scan its QR code to unlock and ride. The system can also provide other benefits to cities, further improving quality of urban life. Mobike is a pioneer in using GPS technology to leverage real-time trip and city insights to better serve users and the cities it operates in. The company uses data analytics and artificial intelligence to monitor the health of each bicycle and allocate its fleet across the city depending on where the demand is. In addition, insights on overall patterns of bicycle usage in cities can also support city planners, local businesses and authorities in a variety of smart urban planning projects. Mobikers shall have the benefit of choosing from many digital payment methods, ranging from net banking, cards, wallets to India’s own UPI method of payment. Thus, Mobike will not only enable ease of payment for riders but will also promote the use of digital payments in general as it expands its operations in the country. “Smart bicycle sharing compared to other public transportation projects is affordable, people friendly and easy to use. When utilized as a feeder system it can provide first and last mile connectivity to public transport systems such as BRTS & Metro.,” said Shri Kunal Kumar Jt. Secretary MoUD and former Municipal Commissioner of PMC. “We are delighted that Mobike is launching its operations in Pune. Mobike is an outstanding example of how Technology led solutions can solve challenges of urban mobility and reduce carbon emissions and it fits well into Pune’s overall developmental plan”. “We are working with a number of cities across the country and are confident that the launch in Pune will be the first of many such partnerships with city administrations in India, allowing us to make cycling the most accessible, affordable, safe and convenient mode of urban transport in India. 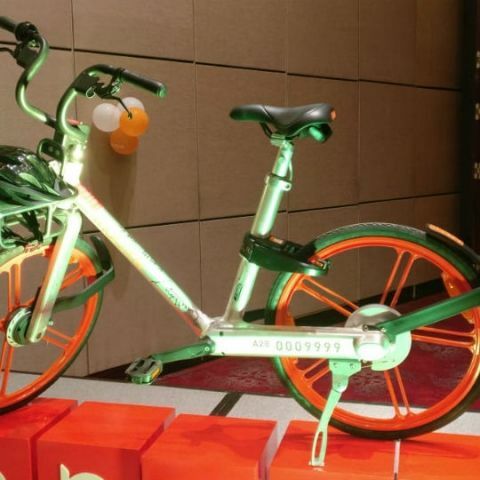 We see bicycle sharing being a big boost to strengthening our country’s public transport system and providing a SMART mobility option to commuters to cover short distances,” said Vibhor Jain, CEO of Mobike India. Mobike has over 9 million of its iconic orange bicycles currently operating in over 200 cities across 16 countries globally. With India, Mobike enters its 17th country of operations in just over 2 years from inception. Mobike as a sustainable, healthy and affordable mode of transport has transformed the mobility landscape, addressing first-mile, last-mile, and short-distance commuting requirements around the world, currently providing over 30 million rides every day. “Pune offers a great mix of young vibrant riders, many ideal locations for cycling, great environment and infrastructure, and an ideal size to get started”, added Sujith Nair, CBO of Mobike. Can a bicycle solve rural India's power woes?